KATHMANDU, March 18: European Union has said that it wishes to be not only a development partner of Nepal but also a political partner. In a statement on Monday following the visit of Deputy Managing Director for Asia and Pacific of the European External Action Service Paola Pampaloni, the Delegation of the European Union to Nepal stated that EU is looking forward to take EU-Nepal partnership to a new level by intensifying and deepening the political dialogue and broadening the common agenda. The EU statement can be interpreted as EU's desire to expand its influence in Nepal as major global powers United States and China are jostling for influence and trying to align it in their strategic ambit in one way or the other, foreign policy experts say. It its statement, the EU mission has also mentioned about EU's position and wishes to work with like-minded countries on the contemporary issues of global concern. "The world of the 21st century is facing many challenges to the global order. From the European Union perspective these challenges can be tackled only through a rules-based and multilateral approach, and through acting together with other like-minded countries," the statement said. 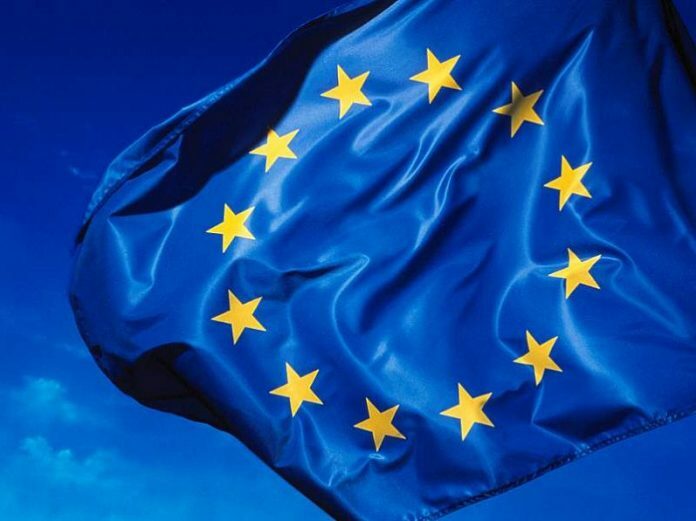 In the statement, the EU said that it is stepping up its commitment to address global challenges together with its partners, including: the implementation of the Paris agreement on climate change; the 2030 Agenda for Sustainable Development; the reform of the WTO; and wider global security challenges. Meanwhile, the inauguration of the new office premises of the Delegation of the European Union to Nepal was held on March 18 in Kathmandu amid the presence of Vice President Nanda Bahadur Pun, the Deputy Managing Director for Asia and Pacific of the European External Action Service (EEAS) Pampaloni, and the EU Ambassador to Nepal Veronica Cody. It was also attended by Nepali Government representatives and EU Member State Ambassadors. 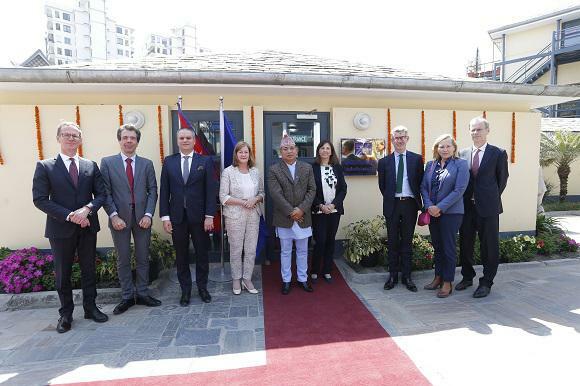 Inaugurating the new premises, Pampaloni said "The EU and Nepal have been partners in development cooperation ever since bilateral relations began in 1973. Last year, in 2018, we marked 45 years of our friendship. The role of the EU Delegation to Nepal has been vital in advancing these relations over the years." She said that the purchase of the new Delegation premises is a testimony to the European Union's commitment to remain engaged in and with Nepal. "And, indeed over the long term to strengthen this partnership," she said. During her visit to Nepal, the Deputy Managing Director for Asia and Pacific held meeting with Minister for Foreign Affairs, Pradeep Kumar Gyawali, Minister of Finance Yuba Raj Khatiwada, Foreign Secretary Shanker Das Bairagi, and Foreign Affairs Advisor to the Prime Minister Rajan Bhattarai. The EU claims that it is the largest development donor in Nepal. In the period 2014-2020 the EU tripled its assistance to Nepal from € 120 million to € 360 million. This EU has focused its financial assistance on rural development, education, governance and reconstruction. "The European Union stands ready to support the Government of Nepal on its journey toward graduation from LDC status by 2022, and beyond. Further opportunities for cooperation in the areas of common interest are being explored, particularly in the context of preparing for the next EU Multiannual Financial Framework for development covering the period of 2021-2027," read the statement issued by the EU delegation.